If planning a party is stressful, devising a wedding is enough to land many couples in therapy. When it comes to the all-important postnuptial meal, some may throw up their hands and say "I do" to a fate of chicken Statlers and overcooked prime rib. Wedding banquet pressure is compounded for members of the culinary industry. Among those who have devoted their lives to food, "chicken or fish" simply isn't an option. And, in a state rich in treasures from the field — and chefs who know what to do with them — there's no excuse for anyone to settle for subpar nourishment on their big day. 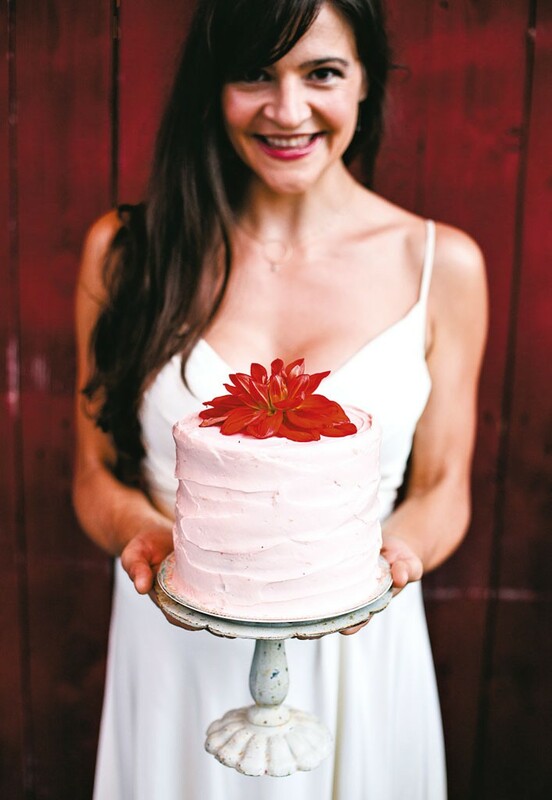 We spoke to Vermont culinary groundbreakers — from farmers to butchers, writers to wedding planners — about what made their nuptials delectable. May their tales help you plan the meal for the biggest party of your life. 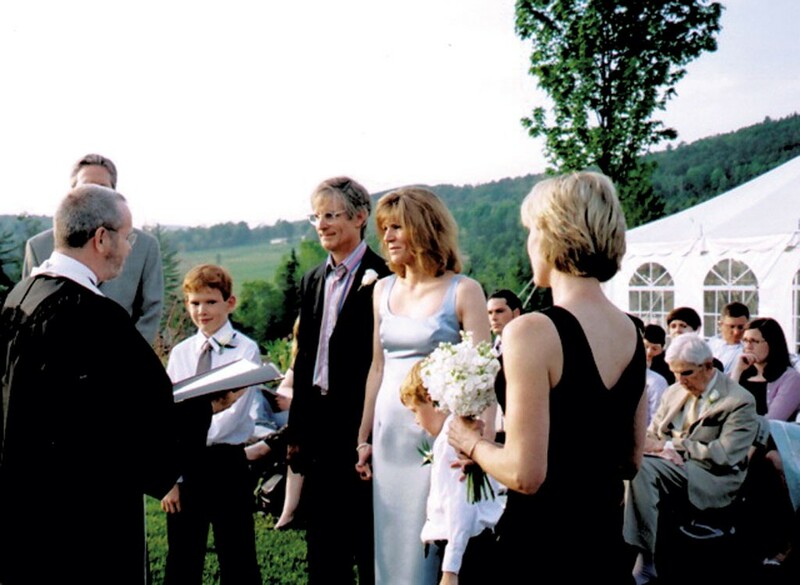 Our wedding was the first event [at our home and wedding venue]. We cleaned out the barn for our own wedding, and that was an immense project. We have a farm, so when we got engaged that May in Greece, we said, "We need to start planting!" We grew two pigs and a bunch of chickens and a huge, organic garden as usual. We grew most of the meal. We have a bunch of friends who are chefs and great cooks. Jean-Luc Matecat [now chef at the Inn at Weathersfield] came and harvested all our lettuce and beets and came up with the salad, with a maple-orange-balsamic vinaigrette. We handed over the pigs and chickens to Michael Flanagan of Michael's Good to Go. He did pulled pork with wild Maine blueberry-chile barbecue sauce and a more traditional bourbon barbecue sauce. He did a porchetta roulade with caramelized fat. He took the chickens, halved and brined them in a Thai-style lemongrass brine, and then grilled those on-site. I sent out recipes to two of my other best chef friends who wanted to contribute. They did a Mediterranean quinoa salad with apricot and chickpeas and cucumbers and mint from the garden, and a summery, lemony dish with haricots verts and fingerlings in a mustard-lemon vinaigrette with tarragon. Our friend Nicholas Laskovski of Dana Forest Farm came with his Austrian backpack and picked mint to make mojitos, for which the rum was infused with cucumber and mint for a few days. Our Jasper Hill [Farm] friends gave us a bunch of wheels of cheese for the cocktail hour. Then I made a chicken liver pâté from our chickens and froze it. We served it with jams and pickles and rhubarb chutney. It was amazing! I made the wedding cake myself. I froze all the components ahead of time, and Chris McGandy, who used to be a pastry chef, assembled it. It was a big, huge, tall wedding cake — bittersweet chocolate with chocolate caramel and ganache and candied pears. On the outside there were edible flowers, too. I also baked some cheesecakes ahead of time. My blackberries were in season, so my friend went out to the blackberry patch and used them to make a star-anise compote. We had what we call a community-supported wedding. One of the major motivations behind doing a potluck was that it was community-oriented and community-inspired — something important to them and celebrating us. It ran the gamut from very fussy food to very simple, basic, comforting food. There were 110 guests, and I would say there were between 40 and 50 dishes. I made a vegetarian tagine. We had two kitchen staff and we provided a full bar. Our server, Deb Wilson, made a carrot wedding cake. She's not a professional baker, but she's an amazing baker. She trimmed the cake into a rectangle shape and took those trimmings and made them into cake balls. Our signature cocktails were inspired by our life together. There was a San Francisco cocktail for where we met, the Mountain Manhattan with St.-Germain and maple syrup, and the Paris Exposition. We originally made a commitment to each other on November 10, 1990, in Paris on a bridge over the Seine. 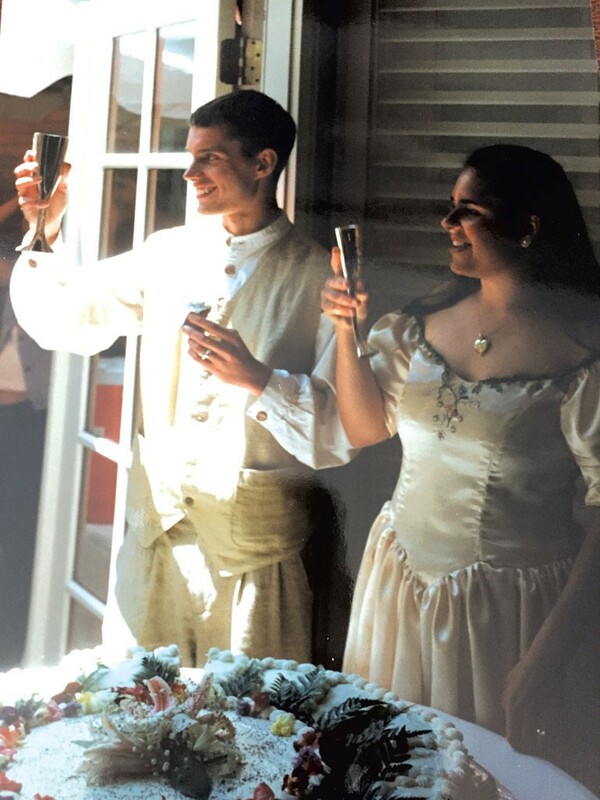 [Our wedding date] was the first year we could get married in Vermont and also the closest weekend night to our 20th anniversary. Noelle and I were in the middle of moving back to Vermont from NYC while planning the wedding, so the "planning," if you will, was very rushed. I honestly don't remember what we had on the wedding menu. I recall telling the innkeeper to surprise us and make it nice. It was a buffet, and it was good. I remember that — but that's about it. I do, however, remember very well what we drank on our wedding day. I was working at Daniel when I proposed to Noelle. I told Daniel [Boulud] that I was going to propose, and he let me pick out some wines from the restaurant's wine cellar for the occasion (within reason). I consulted with the sommelier at the time, Jean-Luc Le Dû, and went with a vintage Champagne from Jacques Selosse, and Barbaresco from Produttori del Barbaresco. I don't recall the vintages, but I remember that they had some age on them. And they were exceptional. I cooked dinner for Noelle in our Harlem apartment, and we drank the wines. For our wedding day, I was able to track down the same wines, and we drank those throughout the evening. Vintage Champagne and Barbaresco ... Yum. It was a beautiful, sunny day but it had been a cold spring, so crops were a bit behind. Looking back at the menu now, there are things that I don't even remember. What were South Peacham crudités? I do recall that we served Southern ham. There were things that we didn't serve because the menu was so ambitious and we didn't have professional servers. There were pounds of wonderful rillettes made by my friend James MacGuire, a chef from Montréal. There were six cheeses, though there were many pounds of cheese left in the cellar unserved. They were all European, from France, Italy or Spain. Our breads came from King Arthur Flour and Bohemian Bread. The first main course was a mousseline of salmon and scallops with beurre blanc. All the wines were organic and from the Loire Valley. We had a killer bed of asparagus, so that found its way onto our plates. We had a Québec pork loin with beurre rouge and new potatoes with green beans. We had the best greens on God's earth. Not only were the salad greens from Pete's Greens young and beautiful, they had been picked that very morning. We ended with a raspberry mille-feuille. One of our friends, who just loves to eat, said that not only was it the best wedding meal he ever had, but it was the best in his life. It was hard to do for 80 people out of a home kitchen, though we did buy the stove and dishwasher for the wedding! I, being an idiot, decided to cater our wedding myself. There were 125 people, and I did the food I most loved at that time. It was a crazy combination: giant, round Moroccan chicken bisteeyas, mushroom moussaka, big bowls of Thai seafood drunken noodles and broccoli drenched in crispy garlic and olive oil — my favorite dish from a long-closed Manhattan restaurant called Hisae's. We hired NECI students to pass hors d'oeuvres and put out the buffet, but I cooked every dang thing myself. My sous-chef at our then-restaurant, About Thyme Café in Montpelier, made us a gigantic, four-tiered lemon-poppy-seed cake. One of our best friends, Peter Lind, primal ice cream therapist for Ben &Jerry's, made a three-tiered, flourless dark-chocolate cake. It also happened to be my parents' 40th anniversary and my niece's fourth birthday, so I made a cake for each of them. Needless to say, we were swimming in cake! The Clayfoot Strutters played swing music for us and backed up Rick Winston on accordion for a very traditional hora. Richard and I were terrorized by being picked up, sitting on chairs, and paraded around. A room full of elderly socialist Jews from Brooklyn (my parents and their friends) will do that! Getting married, I was walking around talking to people so much that I missed a lot of the food. 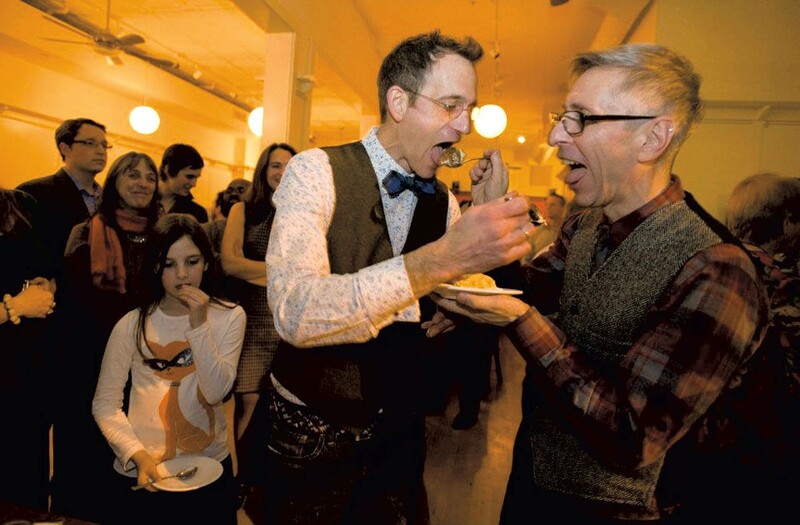 I had catered Aaron Josinsky's wedding, and he and Nate [Wade, co-chef at Misery Loves Co.] cooked most of mine. I bought a pig from Vermont Heritage Grazers. I butchered it up and made a couple porchettas and gave it to them. I made some charcuterie, and Tom Deckman [GFM chef] made an awesome foie terrine. Misery did hors d'oeuvres that were beautiful. The ceviche was a standout. American Flatbread made a special summer wheat beer. I don't drink, so Rookie's gave us a keg of root beer. Sam [Noakes, former GFM baker] made blueberry lemon-curd doughnuts. We get our raw milk at Bread & Butter Farm. They're like our family. We got married in a field, then we all sat under a tent and ate and drank all day. Married fellow farmer Spencer Welton on June 14, 1997, Sunrise Amphitheater, Flagstaff Mountain, Boulder, Colo.
We were 21, and our wedding was the first either of us had ever been to. We were working on an organic farm at that time and were really into food. We were really into the idea of a potluck and having people cook for us — we didn't have a budget for anything else. We decided what people would bring: a lot of little finger foods. There were little mini burritos, little mini fish cakes, things like that. Everything was a parcel of this or that, tied with a chive. Our wedding was at nine in the morning. We were babes in the woods. We rented out the Pearl Street Inn, a cute little bed and breakfast in a renovated old house. We were not drinkers yet, so we actually had a fruit-juice bar with fresh-squeezed juices. A lot of people are still mad at us for that. Everything had to be made with organic ingredients. 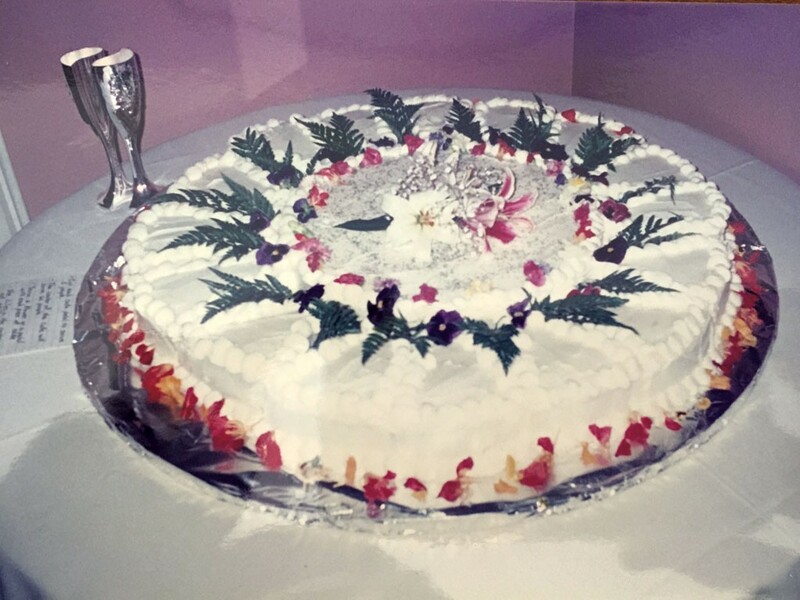 A friend of Spencer's mother's really loved the challenge of making us an organic wedding cake. It was a carrot cake, and all the flowers on it were edible. It took up a whole table. It was the best part of the wedding. I look back and think of how nai ve we were about the planning. It was hard to find organic ingredients back then. The fact that everyone provided that food for us and participated to celebrate the start of our life together, I think, Wow, people must have really loved us. The original print version of this article was headlined "Sealing the Meal"